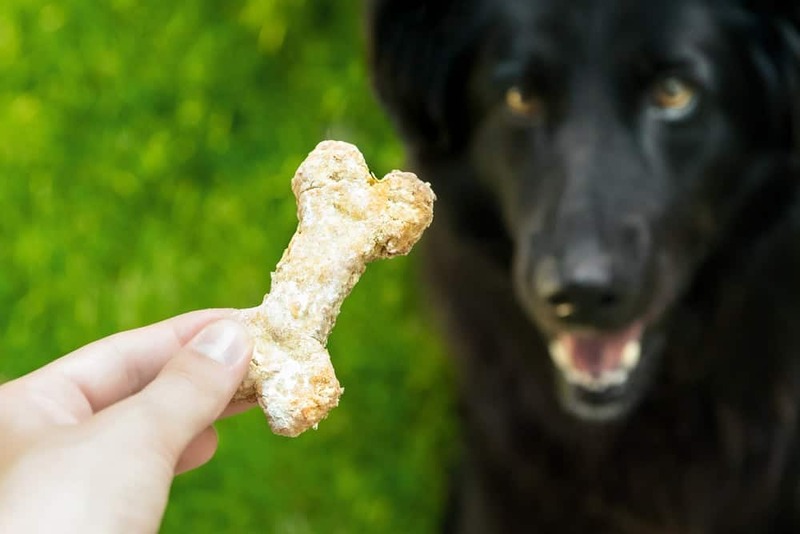 Standing in the pet food aisle of your local grocery store, staring down the endless array of treats, chews, and snacks for your dog can get overwhelming – especially if you start reading those long lists of un-pronounceable ingredients! 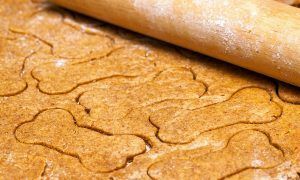 Instead of store-bought goodies, try making these simple treat recipes at home that are sure to have your dog begging for more! And, you’ll feel good knowing each treat is made with love, using only local, safe, and healthy ingredients! 2. Slice the potato into about 1/3” thick slices. Slice the potato lengthwise for larger, longer lasting chews. 3. Lay the slices flat, without overlapping, on a cookie sheet lined with parchment paper. 4. Bake for 3 hours, turning the slices over about halfway through cooking. 5. Allow the chews to cool completely on a wire rack before serving. Store these chews in the refrigerator for up to 3 weeks or freeze for up to 3 months. TIP: Cooked as directed, these treats will be soft but chewy. 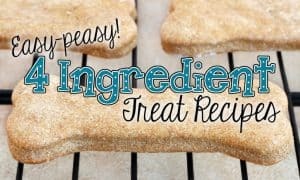 If your dog prefers a crispier treat, cook an additional 30 minutes. The chews may appear too soft when they’re first removed from the oven, but they will continue drying and become harder and chewier as they cool. 2. Combine water, bananas, honey, vanilla, and applesauce in a large mixing bowl. 3. Stir in flour and baking powder. 4. Mix, either by hand or with an electric mixer, until all ingredients are thoroughly combined and a dough is formed. 5. Knead dough on a floured surface for several minutes or until it is no longer sticky. 6. With a rolling pin, roll dough to about ¼” thickness. 9. Bake about 30 minutes or until golden brown. 10. Allow biscuits to cool completely before serving. 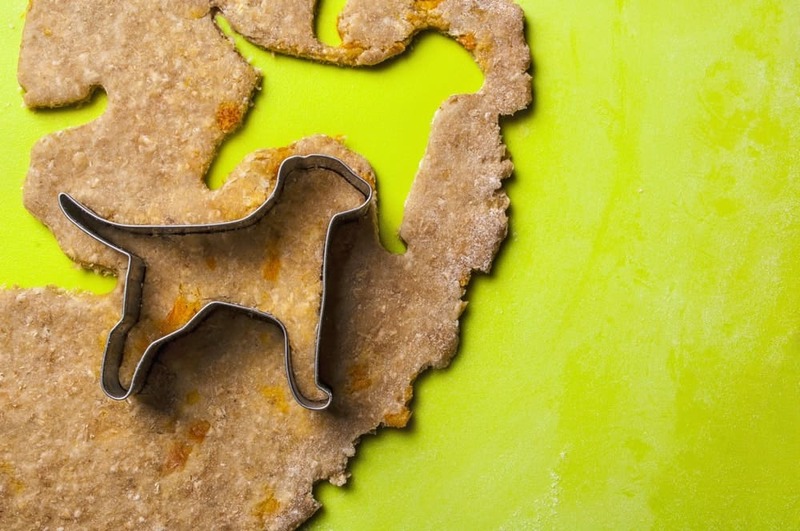 TIP: Depending on the size and shape of your cookie cutters, this recipe can yield up to 3 or 4 dozen tasty biscuits. Cooled biscuits can be stored in the refrigerator for about 2 weeks (if they last that long! 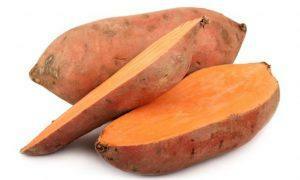 ), or can be stored in an air-tight container on the counter for about one week. For an extra special treat, spread your favorite natural creamy peanut butter on top of each biscuit as icing! 2. Mix peanut butter, milk, and applesauce with a whisk until no longer lumpy. 4. Mix in rolled oats and carob chips until evenly distributed. 5. Spoon onto greased cookie sheet (we recommend greasing cookie sheets with coconut oil!) and flatten to about ¼” thickness. 7. Flip treats and bake an additional 10 minutes. 8. Allow to cool completely before serving. TIP: Treats can be stored for about a week in the refrigerator, or can be frozen for up to 2 months. This recipe begs to be played with! Try swapping the carob chips for bacon or liver pieces. 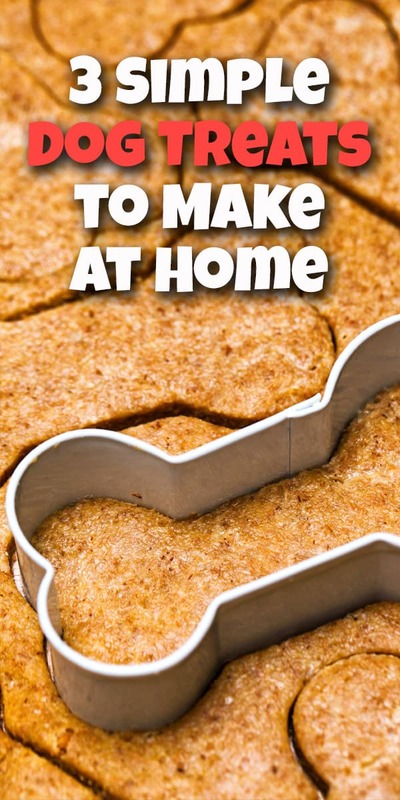 Or, try rolling out the dough on a floured surface and cutting into your favorite fun doggy shapes. Or, you can always invest in a home food dehydrator and make countless chewy treat concoctions at home. 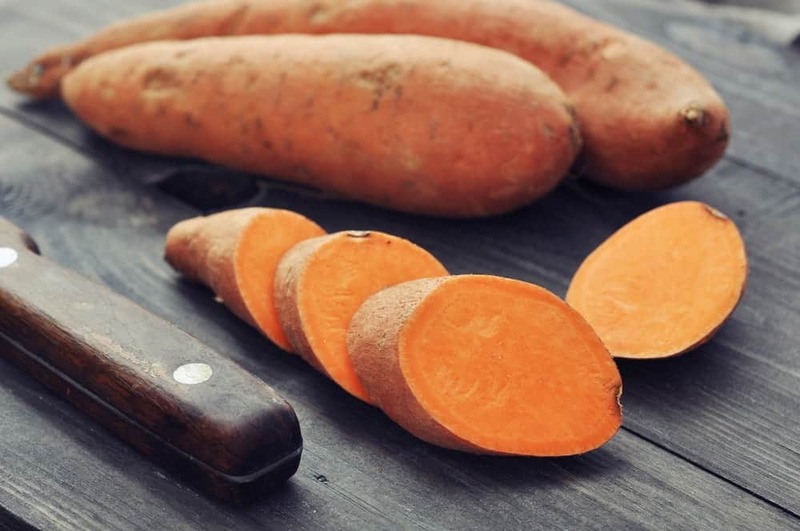 You can dehydrate just about anything your dog loves, from sweet potatoes or your dog’s favorite fresh veggies, to chicken breast, steak, or liver – and, the ingredients don’t have to be cooked beforehand. 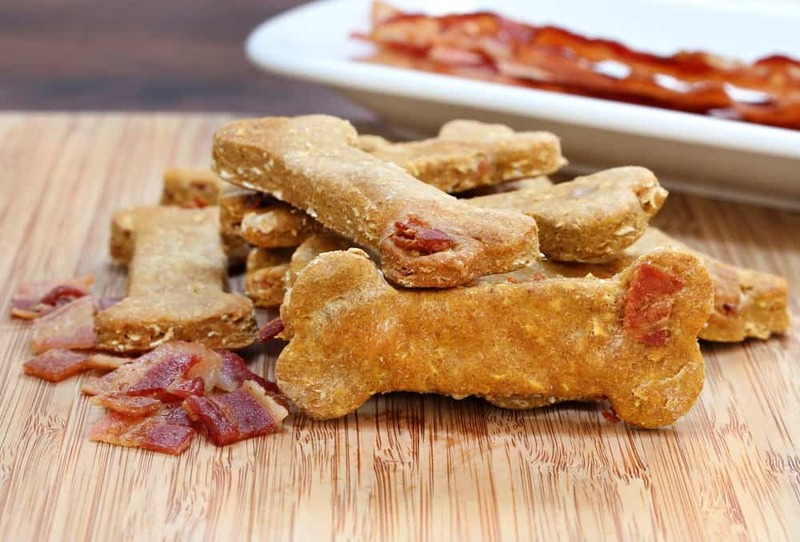 Do you have a favorite dog treat recipe of your own? Tell us about it in a comment! And, don’t forget to PIN this page!